It is a dark night in June, not long after midsummer, and the only noise is the occasional splash of a sea trout. It should be a clear night up here in the far north but it is cloudy with a thick layer of strato-cumulus from 1000 feet to 10000 feet with poor visibility underneath. I am the only rod on the beat tonight, I think, and am enjoying having the beat to myself until I see the dark shadow further down the pool. He is quiet, knee deep at the pool-tail just the swish-swish of his rod betraying his presence. “Long-time friend of the owner”, he offers, sensing my surprise at the intrusion. There is plenty of room for both of us and the sea trout aren’t taking yet. He seems a nice enough guy, polite and well-spoken in an old-fashioned sort of way. A traditionalist I assume or even a collector, as I admire his classic split-cane rod. He doesn’t have a Barbour jacket, just one of those retro, fleece-lined Air Force surplus things. “Used to be a tenant here, a long time back”, he continues, “Just get the odd night off now, when the weather is too bad for flying”. I wish him luck, leave him to it and move on down to the next pool. 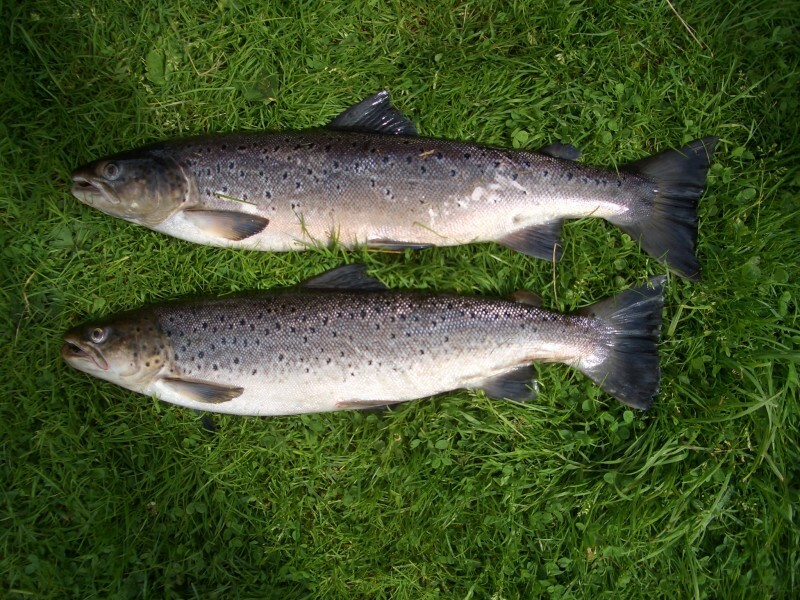 Back at the hut, when we get there, laid out on the grass, is a brace of sea trout. Pinned to the door, scribbled on a scrap of paper. is the message, “Thanks for the hospitality – Stringbag.” I turn it over. It is torn off an aeronautical chart, with airfields marked in purple. The bottom corner of the map, written in blue, reads “Fleet Air Arm, 1941”. Lieutenant Commander Terence V Horsley RN was a keen sportsman and glider pilot who flew Swordfish and other aircraft with the Fleet Air Arm during the Second World War. He began to write articles under the nom-de-plume of “Stringbag” and latterly published a series of fascinating books on naval air power, gliding, shooting, fishing and flying. His most outstanding book, “Soaring Flight,” was published just before the end of the War in 1944 and his story of the Fleet Air Arm, “Find Fix and Strike followed in 1945. He published his first purely fishing book, “Salmon and Trout Fishing”, in 1946, followed by Sporting Pageant: a Gun, a Rifle and an Aeroplane in 1947. His last book The Long Flight, also published in 1947, describes the dramas and romance of long-distance travel by fish, wildfowl and aircraft. I first met Horsley in the pages of his classic book, “Fishing and Flying”, also published in 1947. From the ecstasies of tumbling a high-performance aircraft through the clouds, corries and passes of the Cairngorms at 360 mph, to the quiet magic of fishing the night estuary for sea trout, Horsley had me in thrall, leading me intensely through his two contrasting worlds of flying and fishing, including the River South Esk in Angus . The South Esk starts life in the high hills of the Grampians and after traversing Glen Clova, emerges into the great sandstone lowland of Strathmore and on into the North Sea. On its way it drains some of the richest farmland in Scotland and passes through the ancient and historic burghs of Kirriemuir, Brechin and Montrose. Horsley was, for a time, the tenant on the Finavon beat, near Kirriemuir. During that time he applied his analytical skills as a pilot to the experiences of salmon fishing. On the basis of his catch-returns for August 1941 on the Finavon Beat of the South Esk he published one of the early empirical records to show the relationship between salmon catches and river height, where all his catches in that month occurred on a falling water level. Although this was a fact that many anglers had surmised, this provided a demonstration of the “appliance of science” – the practical benefits of scientific observation to practical action on the river, whether for angler or fishery manager. He had a love-hate relationship with his “little river”, as he called it. His first fish was a 20 lb Spring salmon and he caught many others, yet his river could be a fickle mistress. 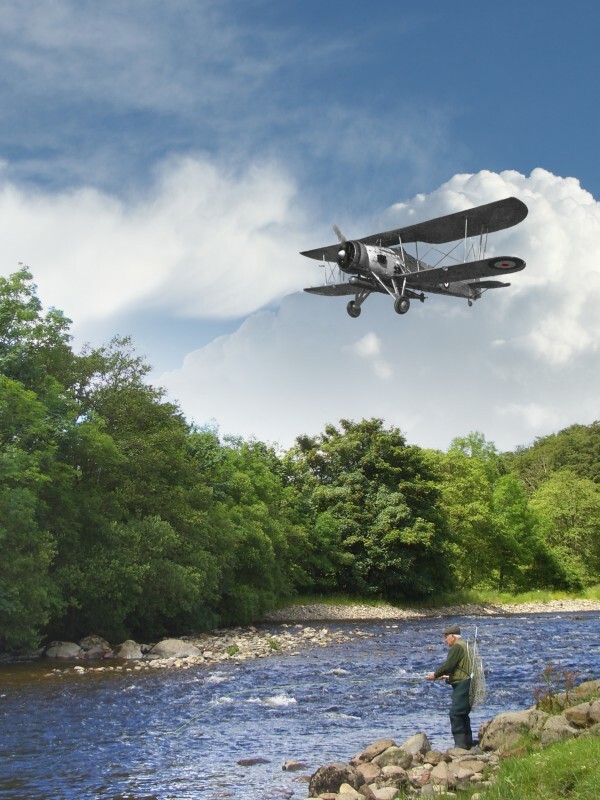 The diary conversation of one man, an airman and a fisherman, to his fickle love – his “little river” – the South Esk. Since 2004 it has been one of the eight salmon rivers forming the Conservation of Atlantic Salmon in Scotland (CASS) project sharing some £3 million of EU money under the LIFE-Nature programme of projects applying the results of scientific research to the practicalities of managing salmon fisheries. Activities undertaken by the Esk DSFB included surveys of salmon habitat and juvenile numbers together with extensive fencing of river corridors in the upper catchment to control grazing, reduce erosion and prevent siltation of spawning gravels. One of the key activities of the CASS programme has been raising awareness of salmon conservation. The Salmon in the Classroom project introduces children to the wonders of salmon by hatching salmon eggs in schools and growing the resulting fry until they are old enough to release back into their local river. My own interest in the South Esk? Well, both flying and fishing. I first looked down on the river from my Chipmunk aircraft on my first solo navigation exercise from Scone, to Kirriemuir to Forfar and back to base. From the air it looked attractive and I vowed I would return. In my subsequent twenty years of flying Canberras and others of Her Majesty’s aircraft, I had, like Horsley, “lingered in the sunlight above the peaks of the Cairngorms and marveled at the apparent innocence of the land”. And yet again I had “flown southwards at four miles to every minute….until the ground split and the headwaters of the South Esk were suddenly below.” I had hung up my flying gloves before I could follow him to his “little river” with a salmon rod in my hand. But I did eventually, and caught my first salmon in the Beech Tree Pool of, what was then called, the Shielhill beat. The rest is history – “Those whom the Gods seek to destroy; they first allow to hook a salmon”. Like a homing fish I still return to the South Esk. Each season, when the Tornadoes or Typhoons from RAF Leuchars boom over at low level and the sea trout are feeding, “Fishing and Flying” all come together again – and Terence Horsley continues to share my night-fishing -when the weather is too bad for flying!